A coating that lives up to its promise! High quality - coating and low - friction - cylinders, combined with high sliding quality of the piston is our recipe for success. State-of-the-art honing machines and the long-standing experience of our specialist staff guarantee dimensional accuracy and surface quality. 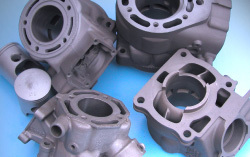 The versatile coating options range from single to multiple cylinders. 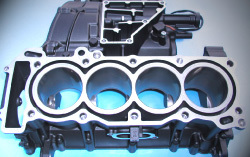 4-cylinder casings such as for Yamaha R6 or R7 are, of course, also included in our coating range. Even heavily damaged cylinders don‘t pose a problem for our company. Heavily damaged cylinders will be repair-welded which includes reworking, or repaired by inserting a new cylinder liner and subsequent recoating. 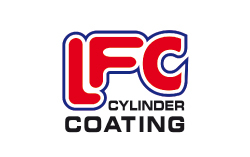 A coating for all coated cylinders.